It’s been way too long! I know, I know, I know. You don’t have to tell me! My work/life over these first few months of 2011 have been nothing if not hectic, but believe me, I have a dry-erase board hanging in my (new) office with more than a few ideas for upcoming blog posts, so expect that this is the first in a hopefully lengthy barrage of images and information to come. My parents and sister had been living in Rio deJaneiro for the past several years and I think everyone expected them to stay at least until my sister graduated high school, however much to their surprise, they moved back home to Houston last year. Within a few months my sister was thrust (back) into the culture of “senior year” in the good ‘ole US of A and that means prom, that means applying to colleges and that also means senior portraits. I have never really done any senior portraits before, I am not a senior portrait photographer and frankly if you allowed me, I would tell you that 99% of the work generated by self-proclaimed senior portrait photographers is usually regurgitated, manufactured and boring, at least from where I’m standing. 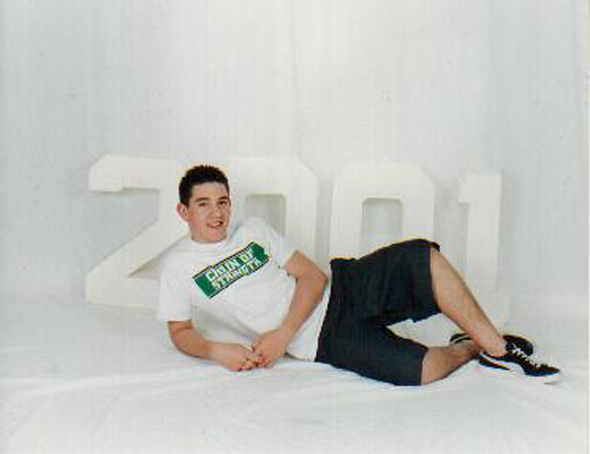 CASE IN POINT: My own (computery/terrible) senior portrait from 10 year’s ago featuring a favorite band tee and some sneakers. Yes the above image is real. Yes it’s cheesy. Yes my mom paid good money for those. It was taken in the garage of one of the “prominent” senior portrait photographers that shot most of the senior class’ photos. They all turned out like this. No creativity at all. It’s like they collected checks from every one in the graduating class and pumped these thoughtless, sweatshop images out like an assembly line. This IS however one of my favorite images of myself simply for the fact that the photographer told me to bring something “formal” and I came in what you see above, so who am I to judge what’s good and what’s not? If you ask me they should have gone the extra mile and make me pose in front of a few over sized crayons. Regardless of all of this, when my sister approached me to shoot her senior photos, I said, “of course!” almost instantly. Anything for my little sis. So after months of procrastination we finally made it happen. In late February we decided to get together and make some images in the studio. We really didn’t have any big concept or idea to portray so we just dove right in. I just wanted to give her something different, something edgy, and more importantly something that she would be happy with. When I saw her leather jacket that she was wearing, I instantly wanted to shoot with it, so I plopped her against the wall and used some simple direct light for an edgy look. Afterwards, I went for the other end of the spectrum and used modeling lights with my 35mm 1.4 lens and a few abandoned strings of lights from Ikea to create a softer look. After a few setups we called it a day. We were both happy with the several looks we created on a whim, in the studio, but we both wanted to get outside and do more. 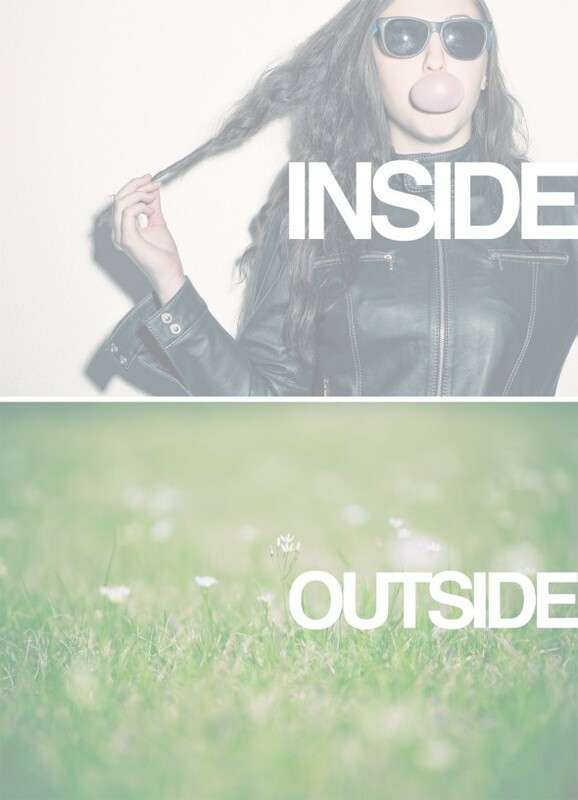 The outdoor session coincidentally took place on my sister’s 18th birthday. We had a great time, driving around looking for interesting things to shoot, but it was a challenge. Since I live a ways away, I was rather unfamiliar with the area and had no time to location scout prior to the shoot date so trying to nail locations while maximizing the limited time frame the sun provided was especially difficult, but we worked with what we had. We found a nice field with some tall(er) grass and waited until the sun was just right. We created several different looks and then called it quits. After I got home and edited the images I realized that the images would be one of my presents to my sister. Since I tried to make the actual images stand out, I wanted the presentation of the images to stand out as well, so instead of just sending her a DVD in a plastic sleeve, I created 2 DVD’s, one for the studio images and one for the outdoor session. I created a cover to slip into each DVD case as well. The idea was to use an image from each shoot across both the front and back like a magazine double-truck, with some simple and obvious text across the front. The design for the custom DVD covers. Both images shot during their respective sessions. After all was said and done, my sister was happy with the images and has since told me several tales of her classmates complimenting them and asking about them, so mission accomplished. 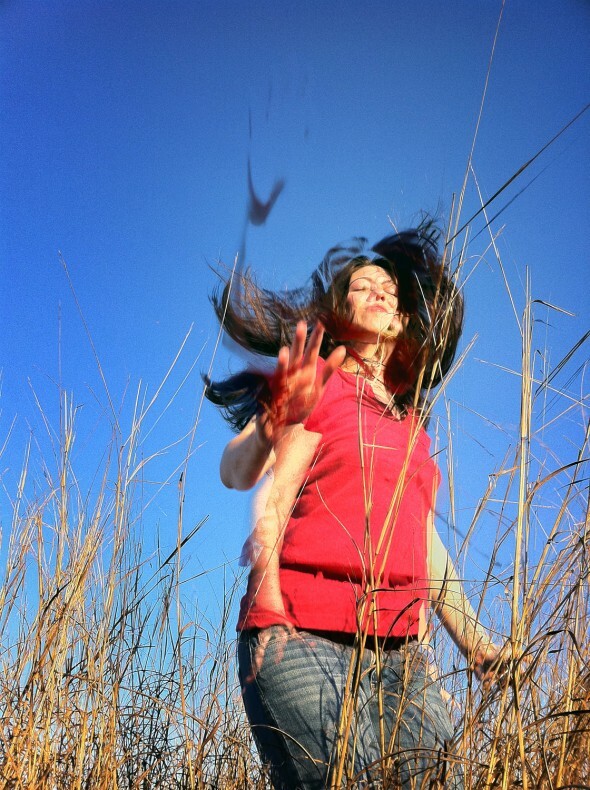 I fully realize that my images aren’t the most creative or off the wall portraits ever, but I think they are a bit more thoughtful and different than the images of the majority of her classmates not to mention my own, taken about a decade ago. I have included several selects in the usual gallery below and added a few fun iPhone images as well. Let me know what you think. 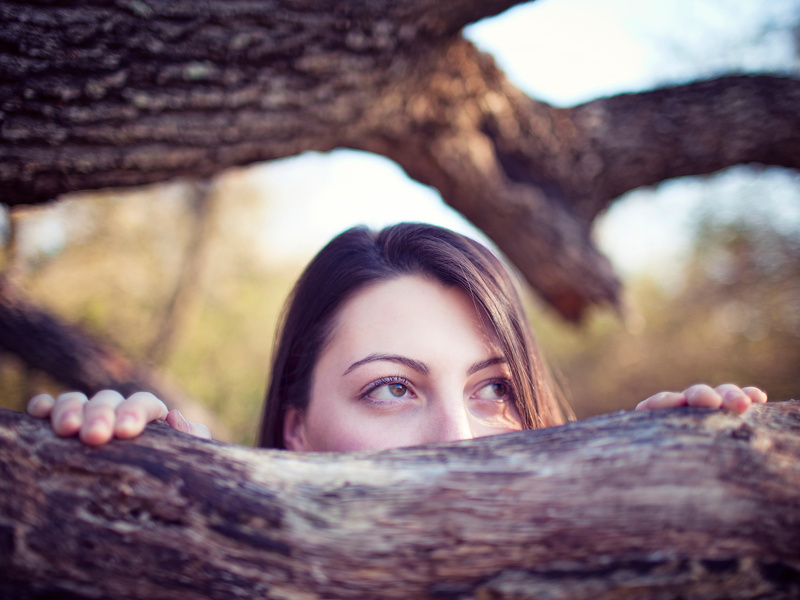 What are your thoughts on senior portrait photography? 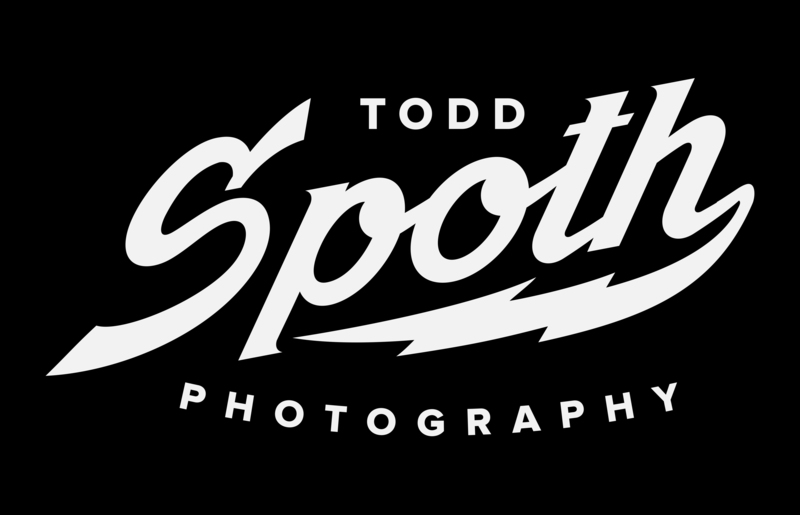 Hit me up @toddspoth via Twitter and on my Facebook page and let me know! Impromptu HDR iPhone images can oftentimes create happy accidents. 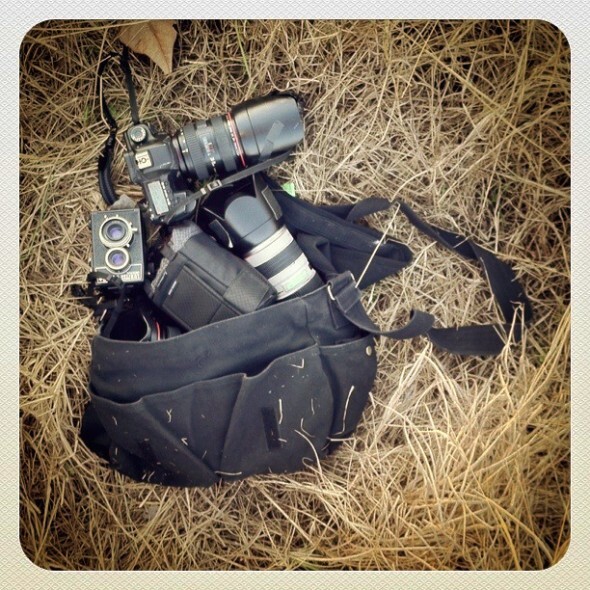 My incognito kit: Canon 5D mark II and the Lubitel TLR.